Welcome to Evening Street! May it be a place where spirits are lifted and kindness matters. CB Burroughs is best known for her unique use of color and texture. A former teacher and youngest in a family of artists, she was in her mid-30's when she finally embraced her artist-heart and took a short class in acrylics. Blessed with a teacher who gave her the courage to experiment and form her own style, her passion grew and led her to the world of scenic design where she was the owner and scenic painter for a theater set design company in Northern Virginia. Upon growing weary of the sheer physicality and temporary nature of set painting, Christine turned her attention to canvas and paper mache’ sculpture. Her art is a partnership between her love of color and texture and her sensitive, albeit feisty spirit. Favorite mediums include oil and cold wax, acrylics, paper clay, and soft pastels. The paint splattered CB lives in Virginia with her extremely patient husband and 2 very naughty dogs, Simon and Izzy. She is the very proud mother of 2 wonderful (and still slightly naughty) adult children. Artist Statement: “Your painting the set what color?” was something I heard over and over again during my years as a scenic painter. Those years taught me that surprising color choices and unexpected textures make a tremendous impact on the audience and that purposeful imperfection yields greater authenticity. I try to apply these lessons on canvas using highly saturated, unique color choices and perfectly-imperfect texture. My art is a celebration of both the beautiful parts of life and its messy, bumpy, imperfection and is highly influenced by my having been raised by precious ones who continually sought great joy even amidst great sadness. The originial evening street.. Small but oh so mighty! Evening Street Studios LLC, features the artwork and writing of artist CB Burroughs and takes its name from her midwest childhood home. 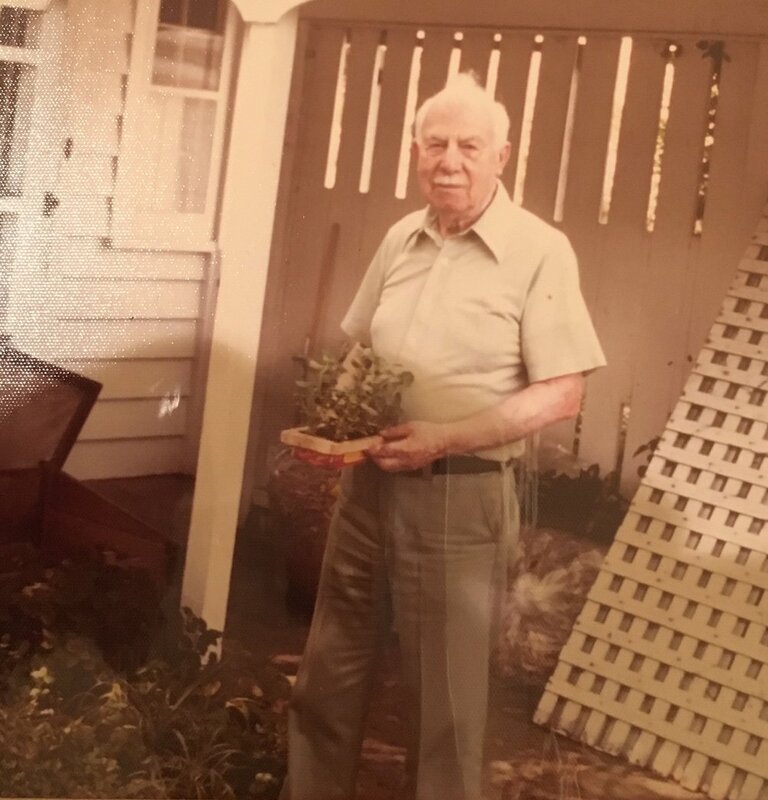 My Grandfather's home on Evening Street was a small but magical place filled with secret closets, cozy nooks, tree forts, ancient books and freedom. Here, with no television, no air conditioning, and just enough supervision, our imaginations and creativity soared. Blocks of wood and bent nails turned into boats, trees into castles, old jewelry into pirate booty. In his house, I discovered creativity amidst the simple life. It was my favorite place, and it shaped me into the the artists I am today. early years on Evening street.